Ireland's international reputation changed rapidly from global success story to European problem-case. How did this happen? What are the implications for our view of good governance? 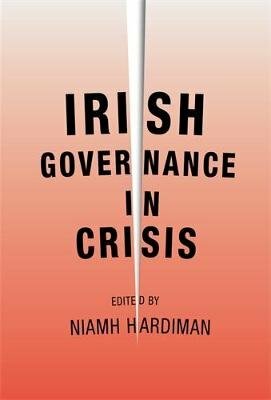 This book argues that there is a crisis in the way the Irish state is structured and in the manner in which it relates to the main organised interests in the society. Through a set of linked policy studies, it shows how sectional benefits can be prioritised where public interest considerations are weakly articulated and debated. Policy choices may entail unintended perverse consequences that, once embedded, can be difficult to alter. The book traces these weaknesses to the dominance of parties, the permeability of the political system to sectional interests, and the weakness of democratic accountability. A powerful concluding chapter sets out an agenda for future research on institutional design and political reform. This book sets out a compelling argument that institutional design matters, especially in an increasingly globalised and interdependent world. -- .